Kakihara debuted as a voice actor in 2003 and won "Best Male Newcomer" at the First Seiyuu Awards ceremony in Japan. Since then, he has amassed a considerable number of leading roles in his career, voicing the likes of Fairy Tail's Natsu Dragneel, Gurren Lagann's Simon, Linebarrels of Iron's Koichi Hayase, BlazBlue's Jin Kisaragi & Hakumen, and Saint Seiya: the Lost Canvas' Pegasus Tenma. As a supporting cast member, Kakihara has been featured heavily in Blue Exorcist (Amaimon), Digimon Xros Wars Season 2 (Ryouma Mogami), Minami-ke (Fujioka), Nura: Rise of the Yokai Clan (Shima), and Toriko (Tom). As a music artist on Lantis and Bandai Visual's Kiramune label for voice actors, Kakihara has released two albums, "Still on Journey" and "Continuous." 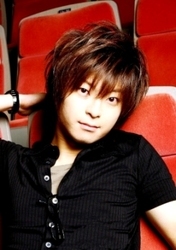 He has also performed the openings for Brave10, a Fairy Tail OAV, Sengoku Paradise Kiwami, and the Angel's Feather OAV. Kakihara was born in Germany and resided in the country until the age of 18. In fact, Kakihara began to pursue his Japanese voice acting career in order to become more fluent in the language. Kakihara plays Angelo Sauper in an ongoing OAV, Mobile Suit Gundam UC, continuing since 2010. In 2012, he will be featured in Fairy Tail as Natsu, and Ozma as Sam Coyne.